The information presented on this page was originally released on February 11, 2002. It may not be outdated, but please search our site for more current information. If you plan to quote or reference this information in a publication, please check with the Extension specialist or author before proceeding. The past couple of years have proven something to me; geraniums are back! Perhaps they have not recaptured the flower border, but they have taken over the front porch and perhaps the patio. Last year, there were large containers of geraniums welcoming visitors to front doors everywhere I looked. Whether the container was all geraniums or mixed with other spring bloomers, you have to admit these are showy flowers that can be admired from a great distance. Recently, I visited some of our Mississippi growers and have seen what will be appearing in the retail market this year as early as Valentine's. One series that caught my eye was the Exotica. Here you will find leaves that may be maple-shaped or have creamy variegation. You also will find flowers that are rose form and apple blossom in color. Another series called the Brocades have not only cream and green variegated leaves but also a dash of red or orange that matches the bloom on top -- like a designer geranium. But I can't call it that since there is a Designer series known to be one of the best landscape performers. Some of the most intensely colored blossoms are in this series. At the California Pack Trials last year, the Showcase series with its Deep Scarlet and Bright Cherry would be almost guaranteed to bring you back to geraniums. Geraniums' (Pelargonium x hortorum) ideal site in Mississippi would be full sun until just past noon then a little protection in afternoon shade. 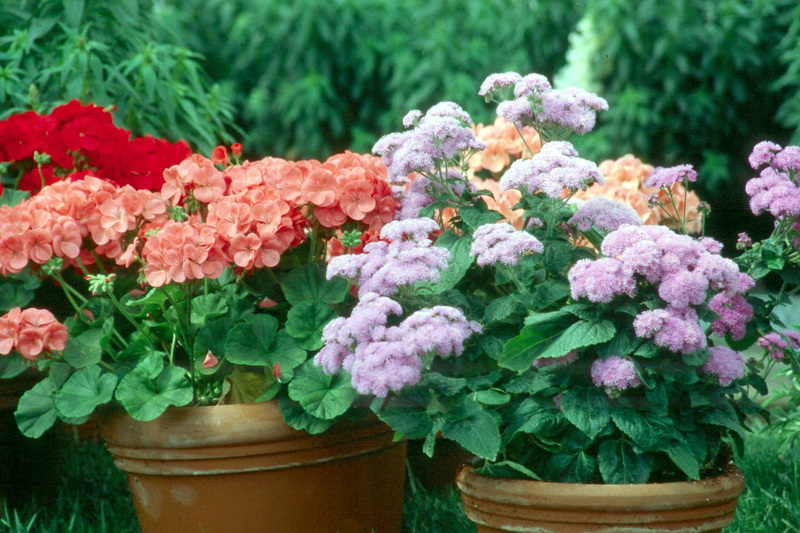 You will find success with geraniums with this light coupled with a well-drained, fertile soil. To prepare your soil, loosen it 8 to 12 inches deep, and add 2 to 3 inches of organic matter. Add about one pound of 12-6-6-fertilizer per 100 square feet and rake the soil smooth. 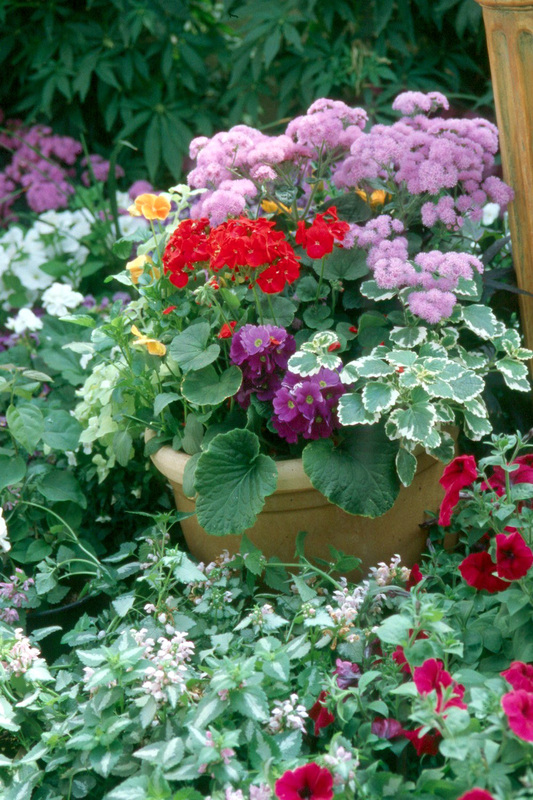 Geraniums are heavy feeders and many gardeners do not apply enough fertilizer to meet the plants' nutrient needs. 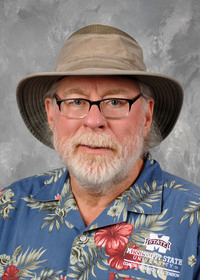 We can feed every two weeks with a dilute, water-soluble fertilizer like a 20-20-20, or apply a granular, controlled-released fertilizer every four to six weeks. When it is time to deadhead old flowers, don't just clip the cluster. Pinch or break off the flower stalk at the base. Beyond that requirement, deciding on how you will use them is all that is left. Geraniums look great in a variety of gardens. We can use them on their own in beds, edging a perennial border, mixed with other annuals or in patio containers. One of the prettiest displays I have ever seen was in a window box at a home in Shreveport. Red and white geraniums were alternated with cascading asparagus fern. One other group overlooked and underused is the scented geraniums. There are several species of these such as P. odoratissimum apple, P. crispum lemon and P. nervosum lime. 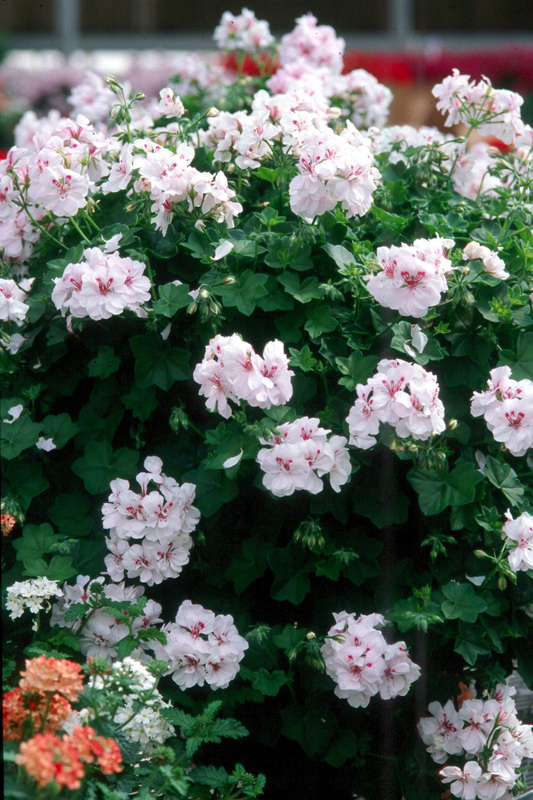 Scented-leafed geraniums give off their fragrance as you gently brush against them. They open up a whole new world of geranium growing that is more like herb gardening. These geraniums are grown for potpourris, sachets, jams, jellies and desserts. You can find other species that give off the fragrance of strawberry, apricot, almond, peppermint and nutmeg. Get on the bandwagon early this spring for the best selection and planting season for geraniums.